I took a little walk around south Belfast over the weekend and on my travels I spotted some great examples of overbag printing that we have completed and a couple of others we didn't do. Great design and print deserves a mention no matter who completed it in my opinion. 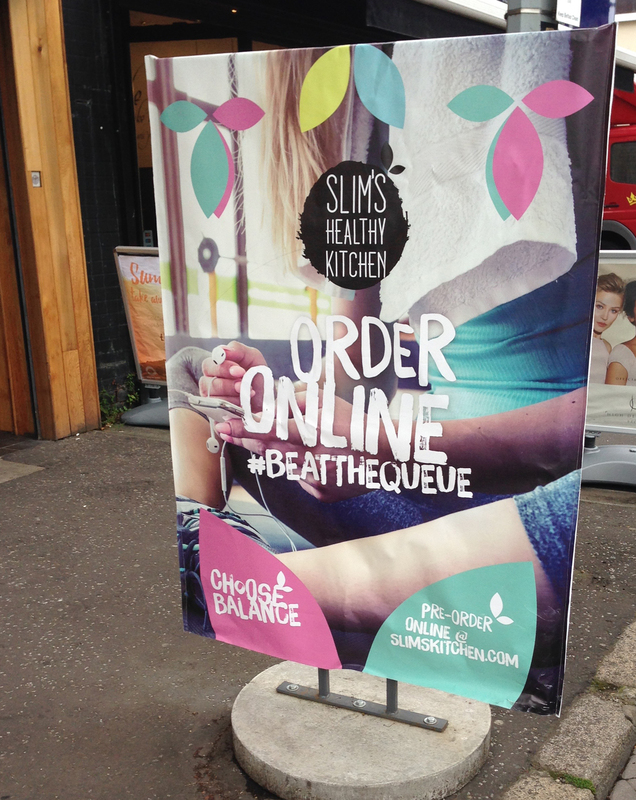 First up I spotted the recently updated “Online Ordering” overbag completed for Slims Healthy Kitchen on the Lisburn Road. This isn’t a new initiative for Slims, but as with their Spring/Summer campaigns the previous overbag was due a revamp to the new styling and as you can see, the new campaign is extremely vivid and bright. This particular overbag is oversize A0 but uses a commonly purchased Windmaster sign as its frame. This reduced the need for a custom built concrete base frame. This next project isn’t one of ours and to be honest we’re not quite sure who completed it, but it’s a great example of how a simple yet effective design can promote a product in a very effective manner. John Henry’s is a Botanic Avenue based restaurant serving fresh wood-fired cooked meats and local produce. Over the past few years they have garnered a great reputation for extraordinary food and the overbag promotes a firm favourite here in Kaizen. 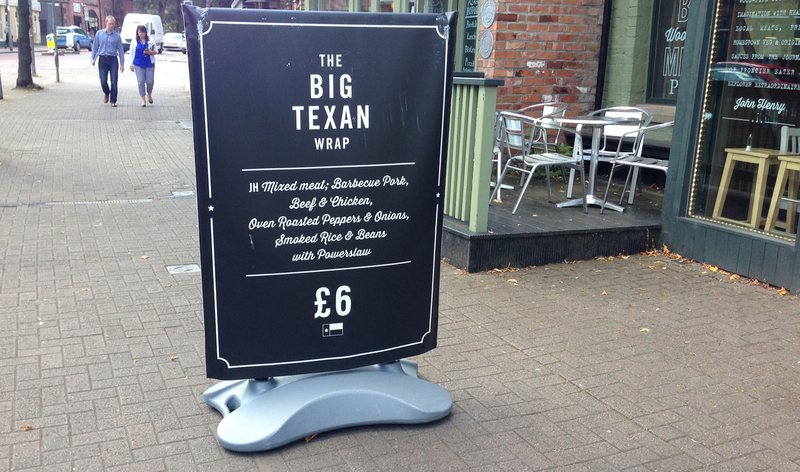 The Big Texan Wrap has a combo of chicken, pork and beef meats wrapped with peppers, rice, beans and coleslaw. A filling feast for lunch or dinner! The simple black and white design is in contrast to the bright and bold colours of Slims Kitchen but both get their message across loud and clear. We can print overbags right up to 1.3m wide however the most common sizes are oversize A0 and oversize A1. To get an accurate sizing for us to match against these sizes please measure the height, the width and the depth of the frame you intend to place he overbag on. The depth is critical in this as without taking this into consideration, the overbag prints when finished may be slightly too narrow or short to fit on the frame. We’re mindful to check this with every order and we’ll always keep the measurements on file for future use. Keeping our overbag costs low, the affordability they present means overbags can be changed regularly and your marketing message consistently updated. In this day and age when people actively avoid advertising, keeping your message fresh and new will keep your customers and passing customers engaged. Personally within Kaizen we have seen some amazing results with reactionary event marketing such as when the Ryder Cup team won a few years back. The very next morning we had a campaign outside our office that was tweeted many times that day, reinforcing the positive Kaizen brand. We can print your overbags and oversleeps in as little as 48 hours. These are printed and then sent to our stitching company (our mum) to put the final touches ready for install at your business. 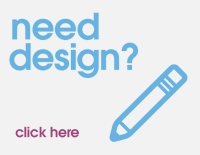 If we can help with any of your design and print, please just get in touch via our contact form or on 028 9002 2474.